May has already come and gone and I can’t believe it! I feel like the month barely started and then I blinked and it was over. I suppose with a week long visit from my sister, a day or two off due to illness (boo sinus infection) and ten days in California, I guess it makes sense that the month seemed to soar past! Crimson Peak by Nancy Holder – The novelization of the film; I found this book to be almost spot on with the movie (I love them both) but it offered a bit more insight into each of the character’s and their motivations. I sped through this book in less than a week! And that’s the only book I read in May. I know – I should be ashamed! Oops! Home is Where Your People Are by Sophie Hudson – This book made the list last month too and while I did get the first four chapters read on our flight to California (and loved them) I haven’t gotten much farther than that! Here’s hoping I’ll make a dent in it before June can come and go! Nationals Baseball – Watching at least bits and pieces of Nationals games on MASN, if not entire games have taken up a lot of my TV watching since baseball season started back in April. I don’t forsake all other television shows for my Nationals…wait…maybe I do. Isn’t that what DVR is for anyway? The Night Manager – AMC’s six part miniseries based on the novel by John Le Carre; the last four episodes showcased Jonathan Pine’s ever deepening covert mission inside the life of arms dealer Richard Roper. A love triangle with Roper’s girlfriend and constant suspicion from Roper’s long time right hand man made things perilous for Pine…and I won’t dare spoil for you how it all ended. You should check this one out for yourself! Outlander – This season continues to be fascinating and I’ve thoroughly enjoyed every episode; I cannot say enough about how this show is so perfectly cast and performed. And as of June 1st, it was renewed for seasons three and four! So, Outlander will be making this list for at least the next few years! So glad I get to watch the adventures that span not just time but also across Scotland, France and eventually…the Americas! Catastrophe – This is an Amazon original series and I’ve only made it through the first season but I definitely binged it…because I watched every episode in one day, ha-ha! When a surprise pregnancy throws an American businessman and an English schoolteacher together, they decide to give life together a go and hilarity ensues. I can’t wait to watch season two…and since the episodes are only about 22 minutes each, I only need to find a mere three hour block to binge that too! Captain America: Civil War – The only movie I saw all month long! I love the Marvel cinematic universe and this film was excellent, if a little bit full at times and I thought Black Panther and Spiderman really stole the movie! After all is said and done, I still don’t know whose side I’d actually be on…although I think I lean more toward Team Cap… I do know that my Dad’s assessment of the movie was: they beat the crap out of one another constantly and don’t ever seem to get hurt. I know…what a wildly sporadic list of songs. The common denominator? They are all walk-up songs for various Nationals players, ha-ha! Churros – I don’t even have a picture of churros but they are definitely one of my favorite things and they are literally around every corner at Disney! Even so, somehow Lindsey and I only had one each but they were amazing and I would kill (maybe literally) for another one! Ha! Cool Hand Luke’s – This is apparently a chain in California…there are only eight locations and they are all in Cali! We stumbled onto this one via Google (or was it Yelp?) en route to Morro Bay during our visit to California and I think it’s safe to say we all immensely enjoyed our food! It’s nothing mind-blowing or fancy to be sure – but it was all delicious! Now I’m sure someone who lives in California will say “you have lost your mind”…oh well! 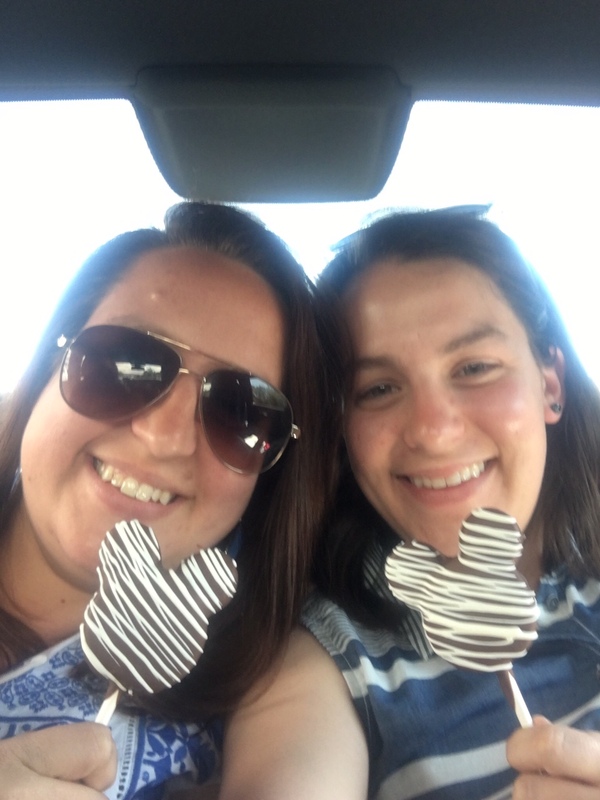 Disney Confections and Dining – Cake pops and cookies…you name it, it was delicious! I had two cake pops (not on the same day) and split a sugar cookie with Lindsey. A Mickey shaped cookie, of course! 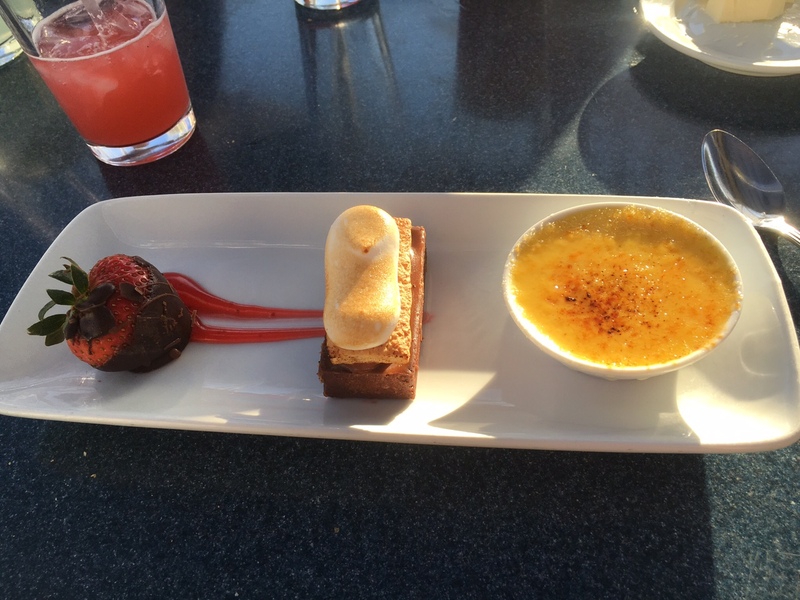 Every bite was delicious…and that also goes for the places we ate while at Disney: Ariel’s Grotto being the winner when it came to a sit down meal – the food was delicious and the desserts were amazing! 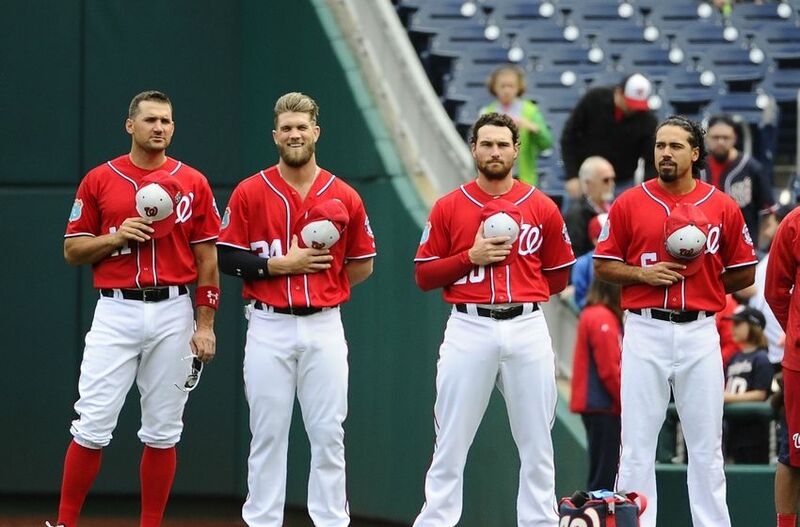 Nationals Baseball – Of course! This one will be on the list until at least October…hopefully longer if the team keeps playing well! I’m only going to one game in June…right now at least; I’ve got something in the works that might mean two games in June! Yahoo! Baseball is really the only thing on the agenda for June – and there is something really nice about having nothing on the schedule! 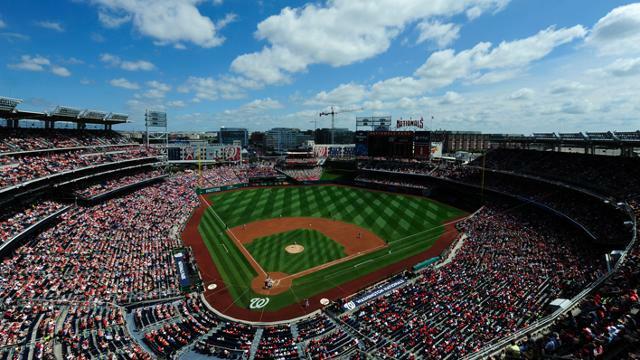 That doesn’t mean I won’t find plenty to do because there is never a shortage of things to see and do around Northern Virginia, so I’m sure June will be filled with plenty more than just baseball!